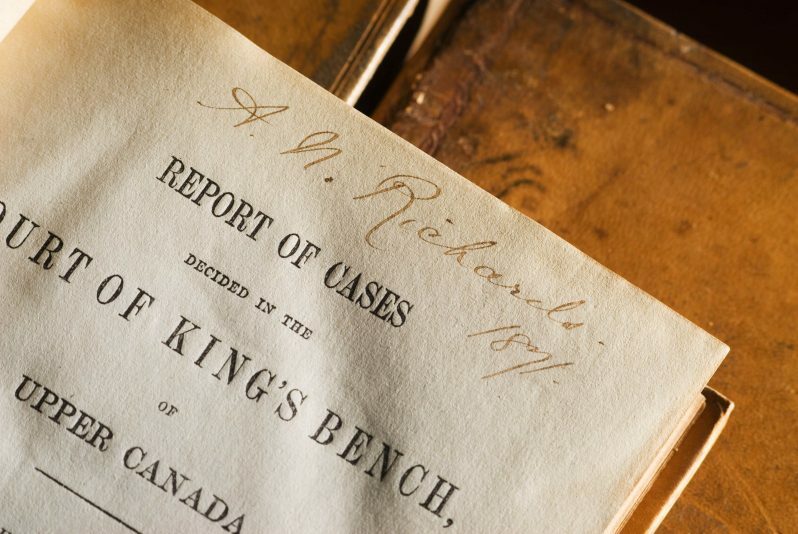 Founded in 1871, we are the oldest law firm in British Columbia and one of the oldest law firms in Canada. Our librarian tells us we arguably have the coolest collection of old law books of any firm. Today, we’ve benefited from more than 145 years of practising law, developing our knowledge and gaining experience, and also earning the loyalty of seriously long-term clients. 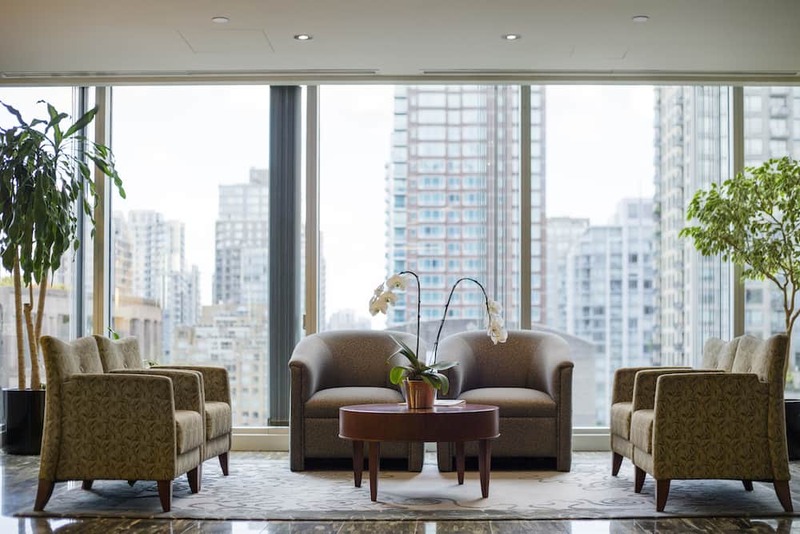 By Canadian law firm standards, we sit neatly and intentionally in the mid-sized law firm space. Our lawyers number in the 40s, we boast a dozen or more paralegals, and we are supported by many long-term staff, as well as a loyal hard-working management team. We are inspired by you, our clients. We understand your legal issue – whether large or small – matters greatly to you, whether you are an individual client with a personal matter, an entrepreneur with a business issue, an executive with a corporate issue or a large institutional client. The Pacific Rim Advisory Council (PRAC) is a unique strategic alliance within the global legal community, with unparalleled expertise on the legal and business issues facing not only Asia but the broad Pacific Rim region. PRAC consists of 30 top-tier independent law firms with over 12,000 lawyers practising in key business centres around the world. Each PRAC firm maintains its independence and sole responsibility for services to its clients while responding to the needs of clients referred by other PRAC members. The PRAC network is premised on close professional and personal relationships among its members. Timely advice on the laws and procedures of other nations. Skills in handling multinational matters through the assistance of PRAC member professionals already proficient in applicable foreign law. Introduction to other PRAC member firms for direct representation on significant matters. Lawyers with access to current information on trends, developments and business climates. For more information regarding PRAC or our international expertise, contact Jeff Lowe, Q.C., PRAC Past Chairman, at 604.661.9202 or Scott MacDonald, at 604.661.9217. 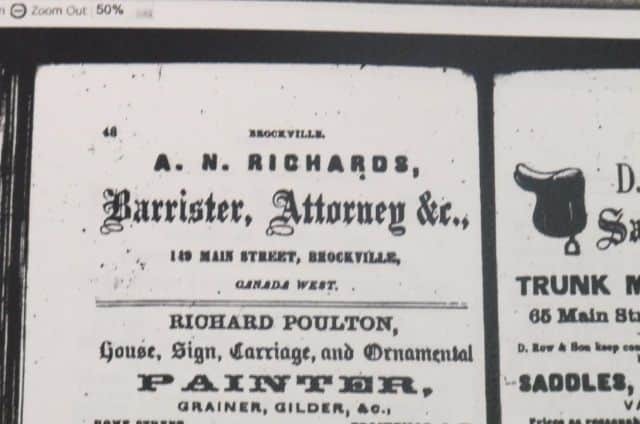 Albert Norton Richards, our founder, was called to the Bar in Ontario and established a practice in Brockville with his brothers and Edmund J. Senkler, the father of his future law partner and son-in-law, John H. Senkler. 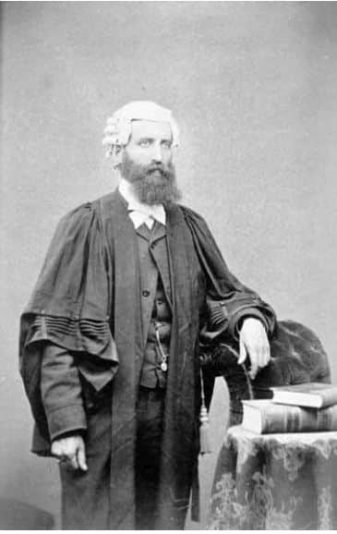 Albert Norton Richards, (1821-1897), as a young lawyer in Brockville, Ontario. 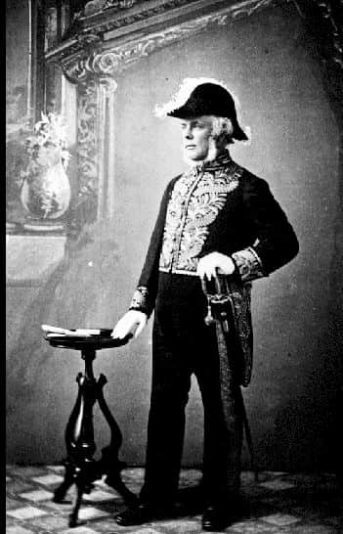 Albert Norton Richards dressed for court in Victoria, BC. 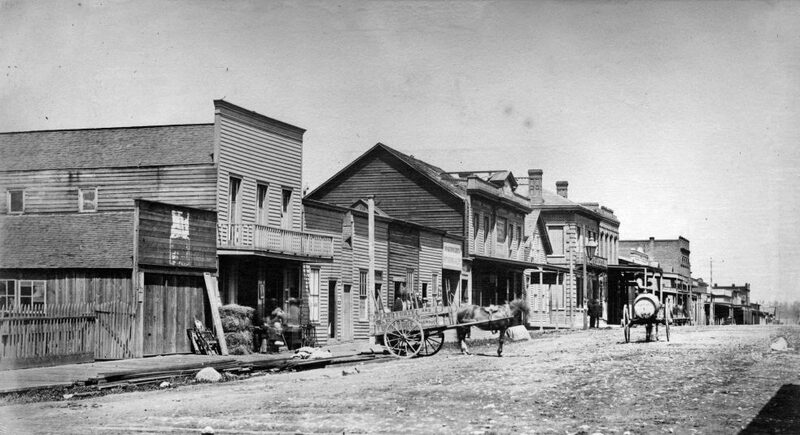 Government Street, Victoria, BC, the year that Albert Norton Richards was called to the BC Bar and established his practice in our province. His law office was nearby. Albert Norton Richards' signature the year he founded our firm. This book can be found resting on our office shelves. The assumption was always that Richards Buell Sutton had started in Vancouver. 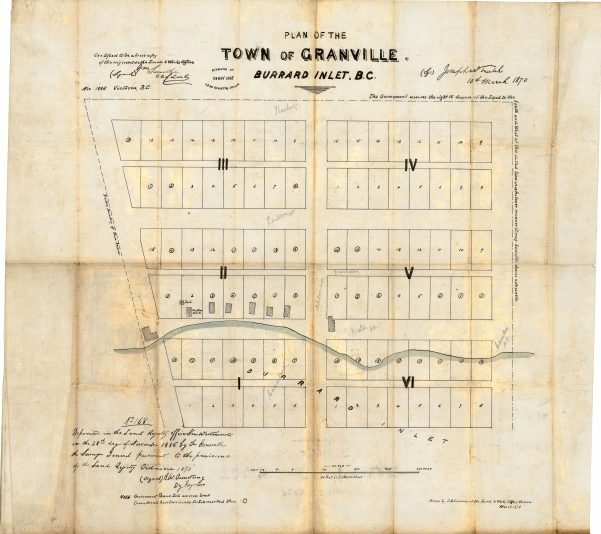 This is Vancouver, then called Granville, the year the firm was actually founded in Victoria. 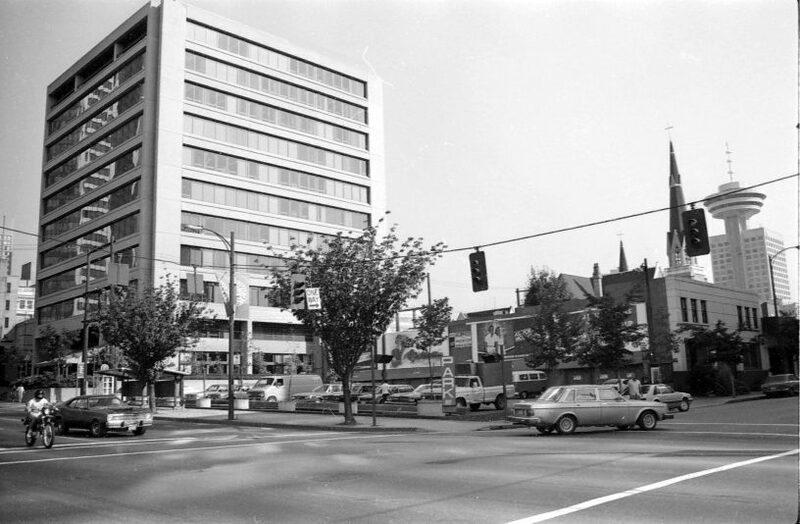 Our present location city block between Richards and Homer Streets in Vancouver, the year our firm was founded in Victoria. 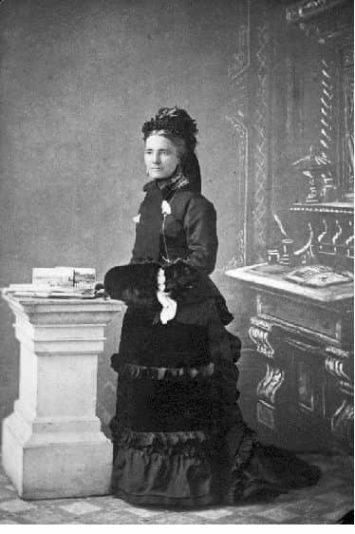 Albert Norton Richards' wife, Ellen. Albert Norton Richards became the 2nd Lieutenant Governor of BC, on July 28, 1876. 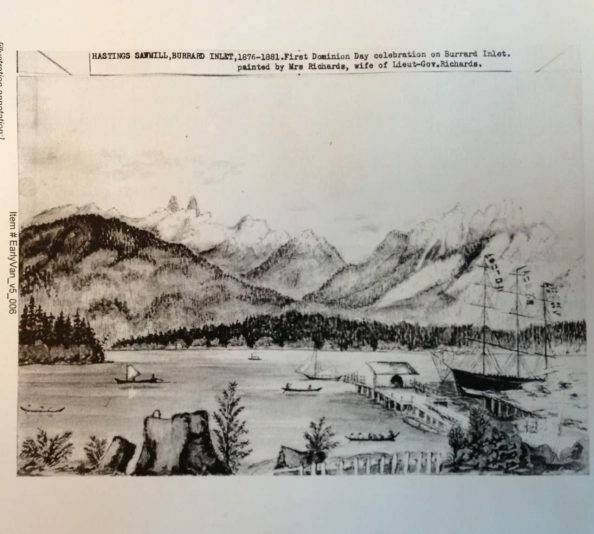 Sketch of Hastings Sawmill, Burrard Inlet painted by Albert Norton Richards' wife, Ellen, who told her daughter she walked through a forest to Granville to paint. 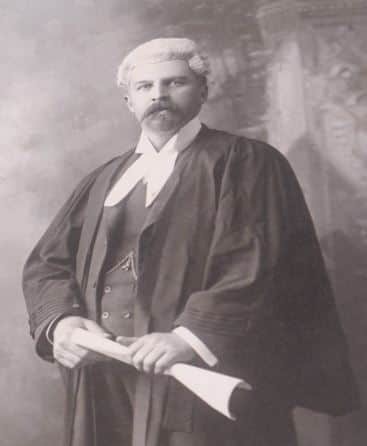 Pictured here is Gordon E. Corbould; a law partner of John H. Senkler, Albert Norton Richards' son-in-law, who brought the firm from Victoria to New Westminster. Interior shot of our law office in New Westminster. Albert Norton Richard's son-in-law and law partner,John H. Senkler, brought the firm to the Lower Mainland from Victoria. David Steven Wallbridge, a partner at W.J. 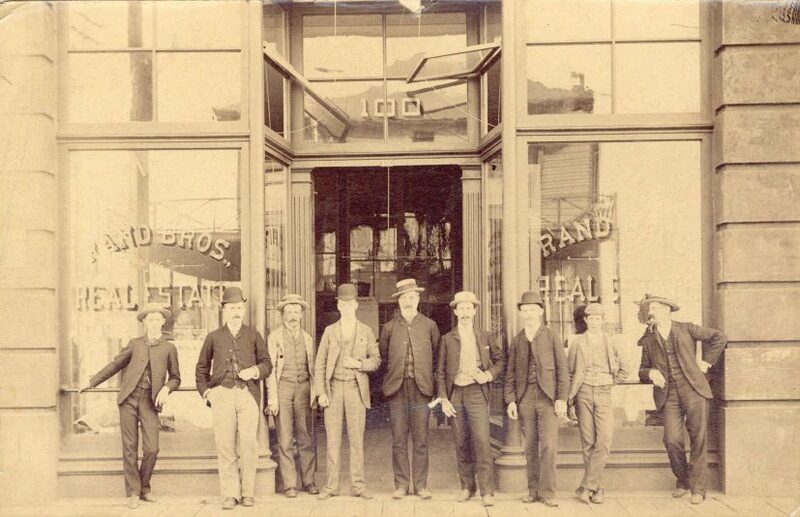 Bower's firm, in front of his real estate office in Gastown. 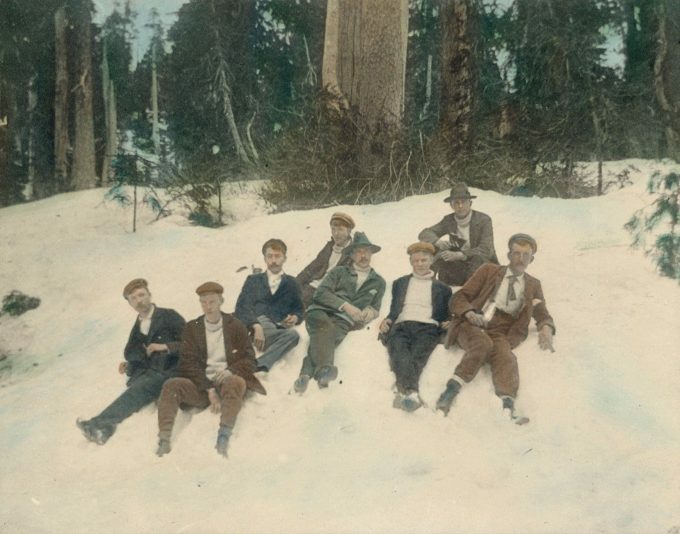 A staff party with our lawyers at Grouse Mountain. 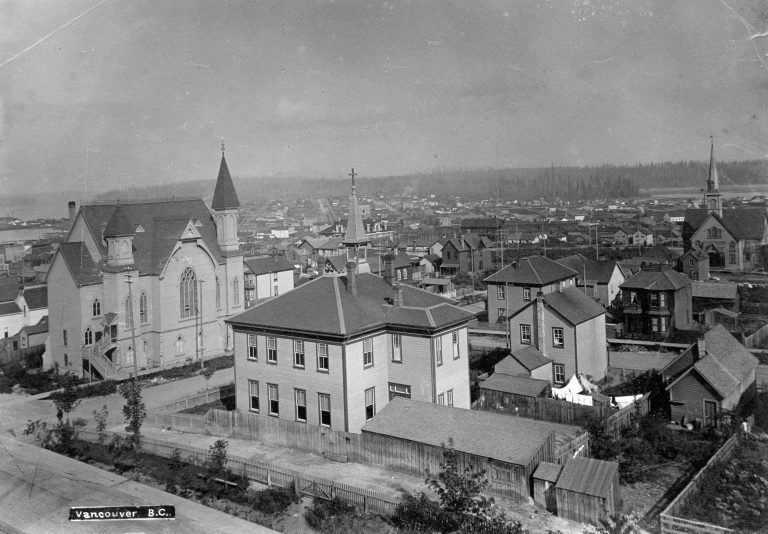 A photograph of the location of our current city block of Dunsmuir and West Georgia streets between Richards and Homer Streets. 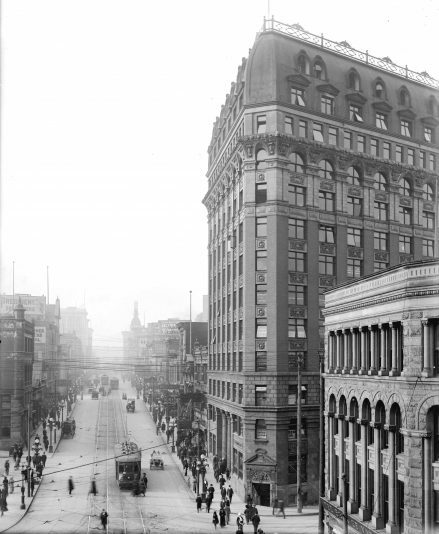 Vancouver, the date William J. Bowser founded the firm from which the Sutton part of our name originates. David Steven Wallbridge, a partner with Bowser Reid and Wallbridge for over thirty years. Team winners of the Vancouver Rugby Football championship. 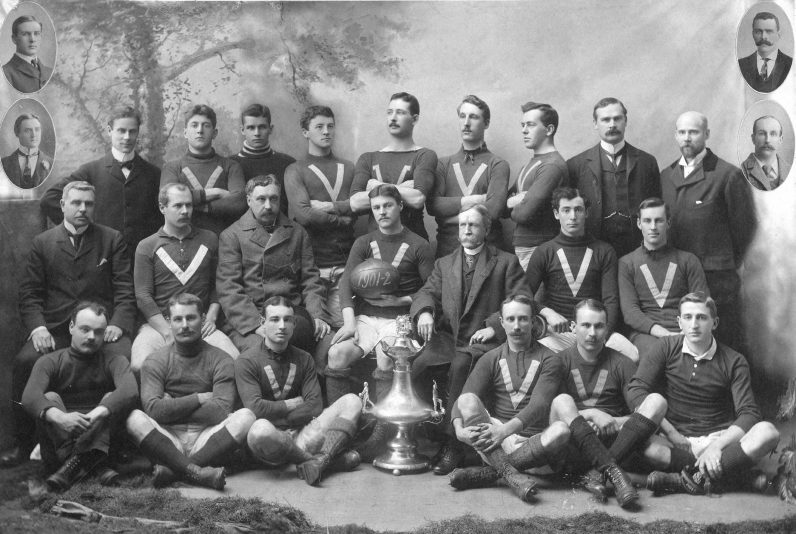 Firm partners, John H. Senkler (top row 2nd from right), and Richard C. Spinks (second row at far right), are in this photograph. 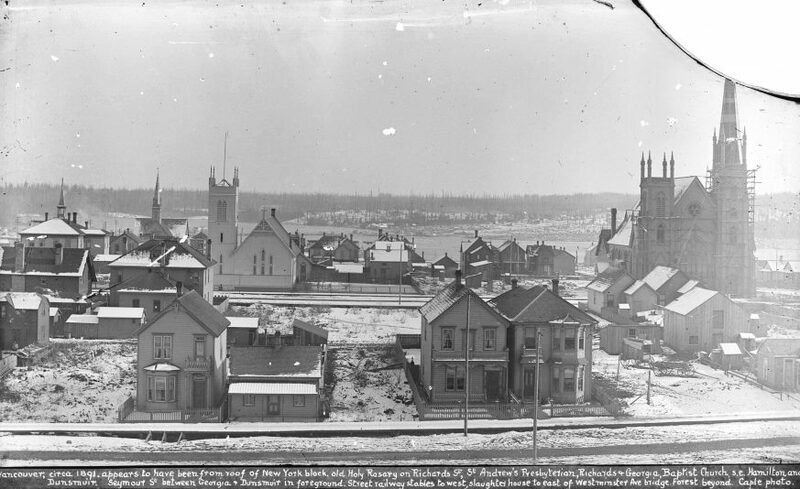 Richard Coupland Spinks, Managing Partner of Senkler Spinks, and Van Horne, lower right hand corner of the picture. 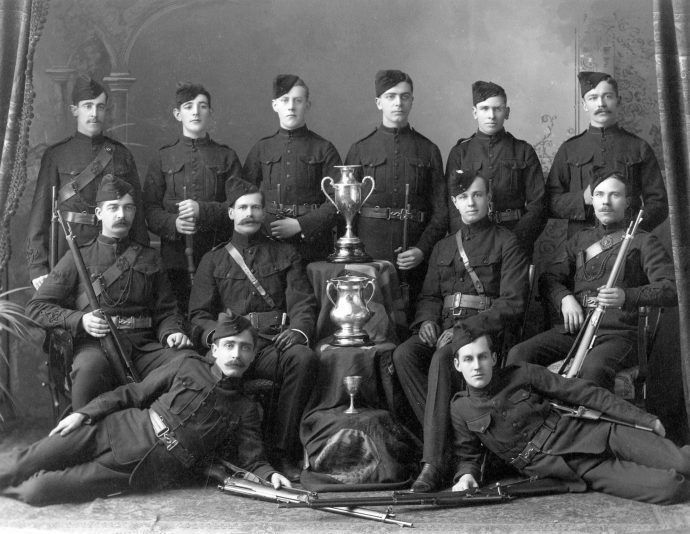 Mr. Spinks fought in World War l and died in battle at Vimy Ridge in 1917. 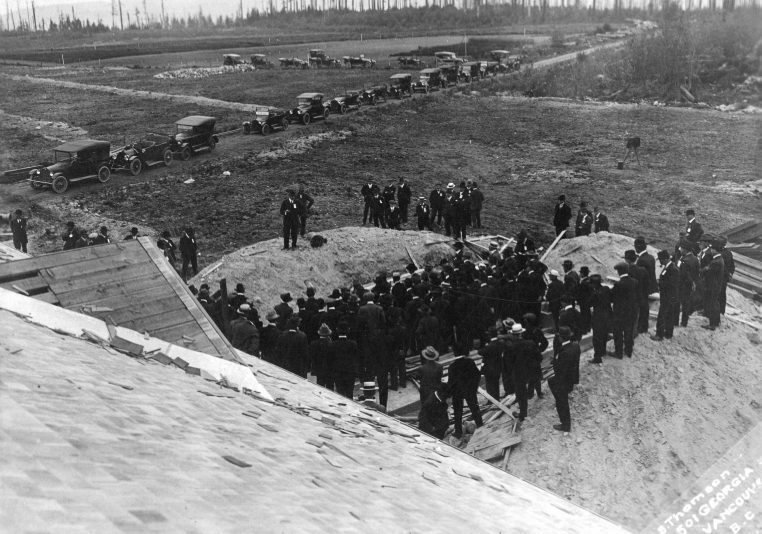 Laying the foundation for the University of BC, established in 1908, by legislation drafted by our lawyer, Robie L. Reid. 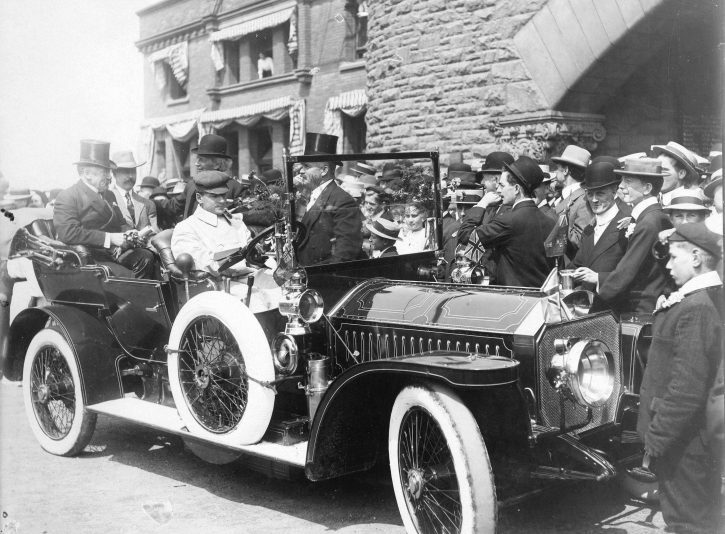 John H. Senkler, Albert Norton Richards' law partner and son-in-law greeting the Prime Minister of Canada, Sir Wilfred Laurier, at the opening of the first PNE in Vancouver on August 16, 1910. 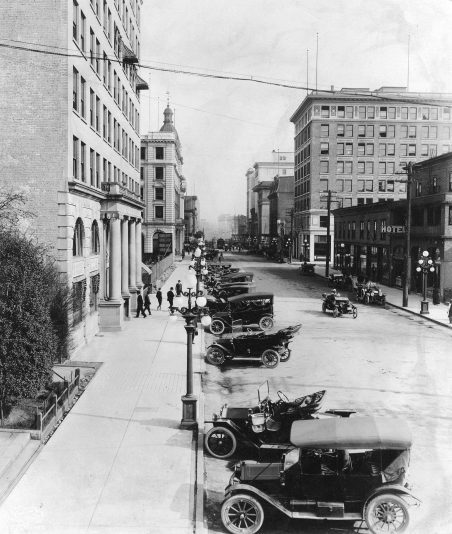 A photograph of 401 West Georgia Street, our present location. 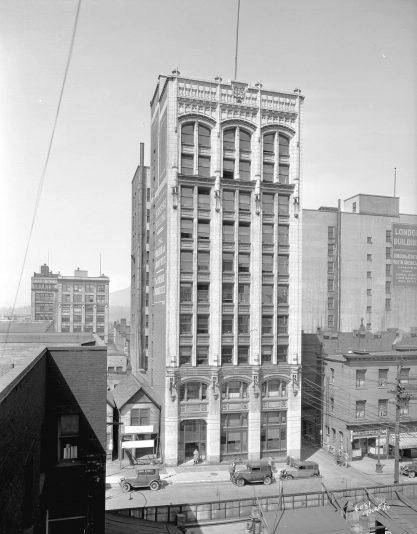 One of our predecessor firms, Bowser Godfrey and Wallbridge, had offices in the Dominion Building which was the first skyscraper in Vancouver. 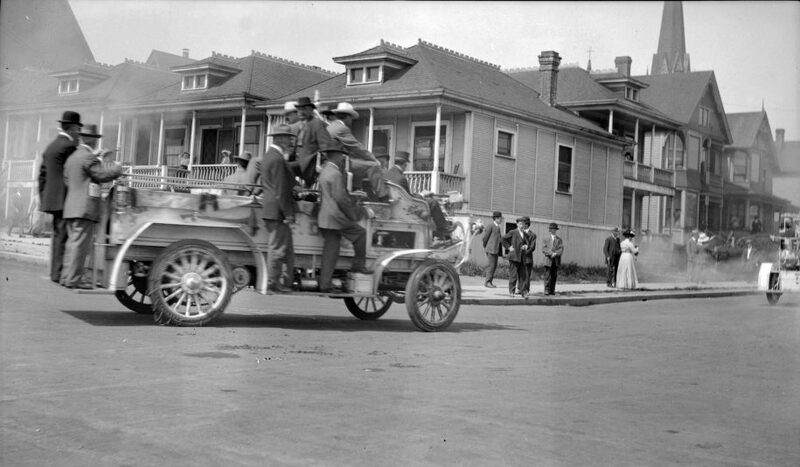 At that time, it was the tallest building in the British Empire. 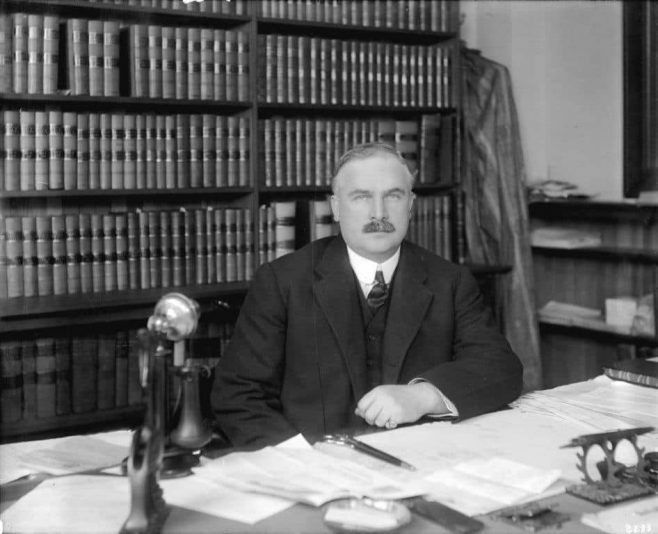 William J. Bowser, who founded the firm from which the Sutton part of our name originates, when he became Premier of BC. 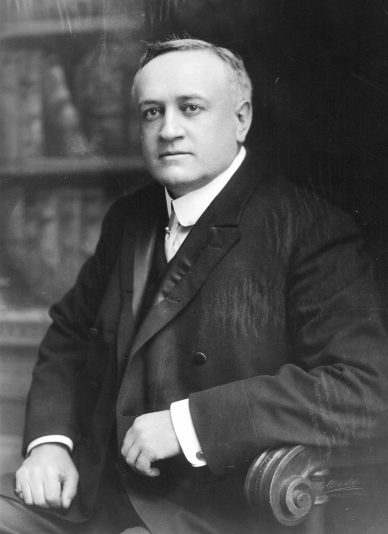 During his premiership, he passed the legislation allowing women to practice law. 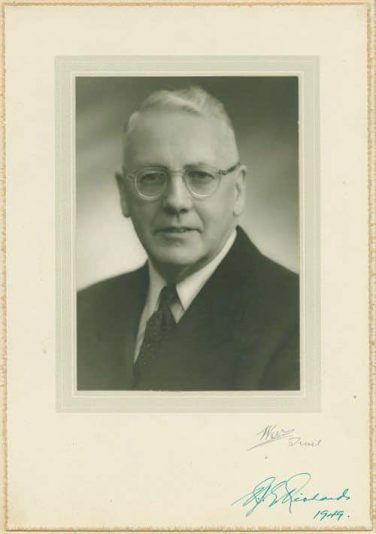 William Senkler Buell, a cousin of both Albert Norton Richards and John H. Senkler and from whom the Buell in our name originates. 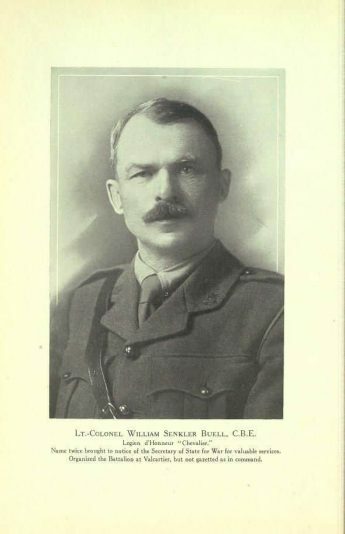 Served as Lieutenant- Colonel in World War I and received the Legion of Honour. 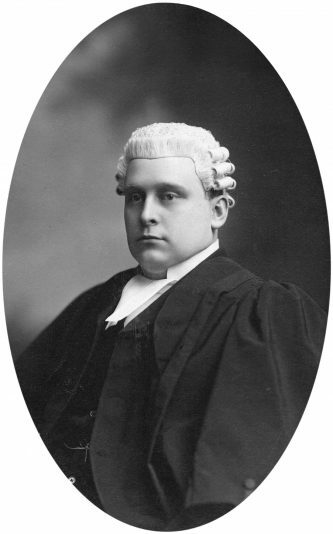 Edgar Bloomfield, a law partner with John H. Senkler, in his barrister's garb. 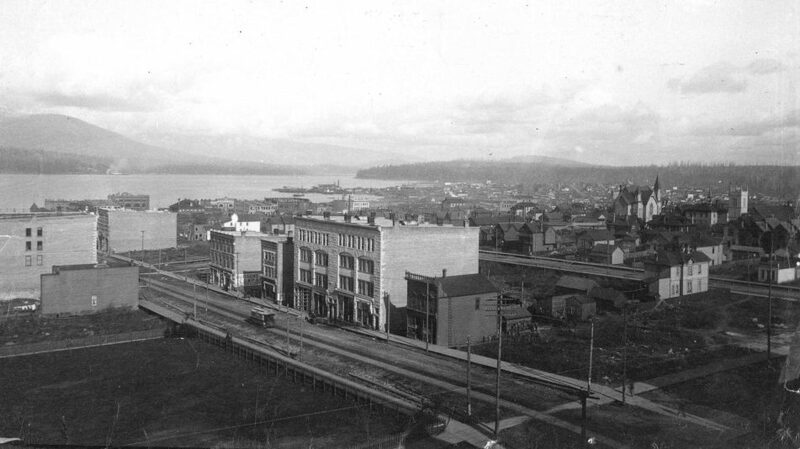 One of our predecessor firms, Senkler Spinks and Van Horne, moved to the Pacific Building in 1911, and had offices there for over 50 years. Yorkshire Building on Seymour Street. One of our predecessor firms, Bowser Reid and Wallbridge, moved in this building in 1914 and remained there until 1950. 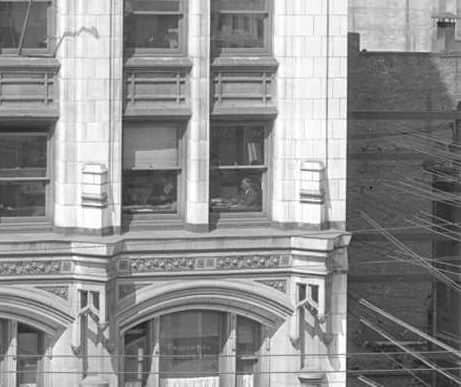 Close-up of one of our partners in his corner office in the Yorkshire Building on Seymour Street, One of our predecessor firms, Bowser Reid and Wallbridge, moved in this building in 1914 and remained there until 1950. 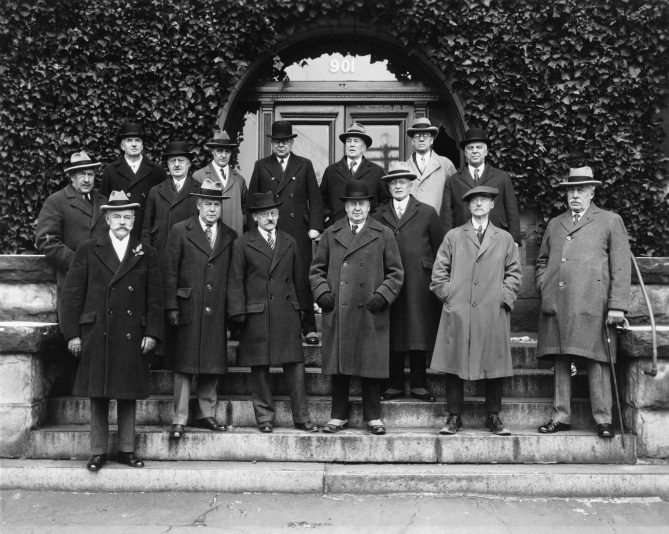 Some of our past lawyers, including David Steven Wallbridge, in front of the Vancouver Club. 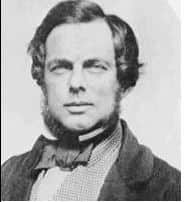 William Allan Sutton, partner with Robie Reid and David S. Wallbridge, and from whom the Sutton in our name originates. 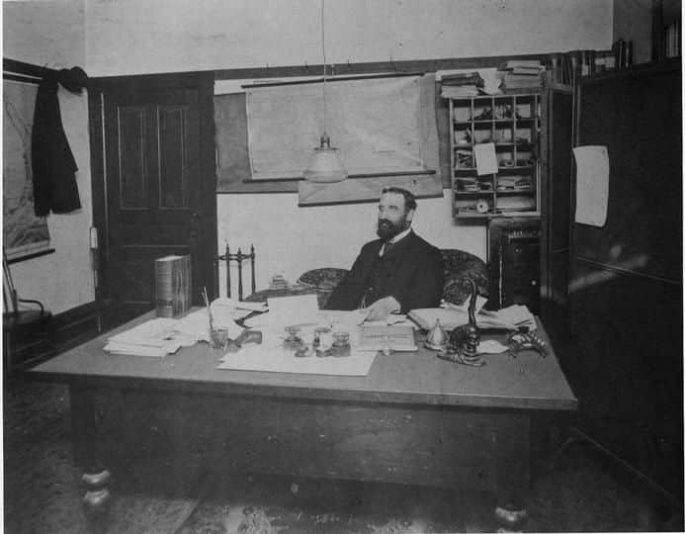 John H. Senkler, Albert Norton Richards' son-in-law, who brought the firm from Victoria to the lower mainland, in his office. 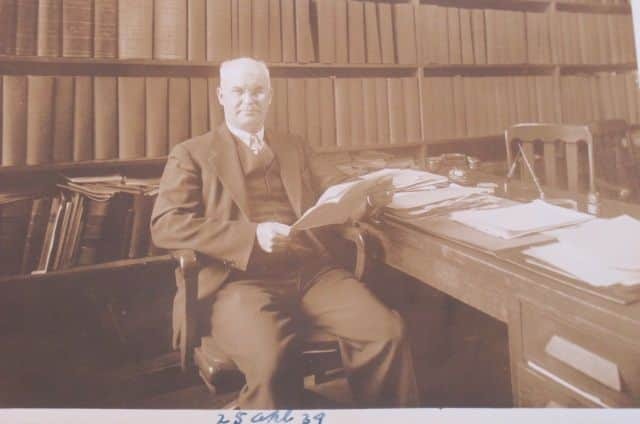 An office shot of Robie L. Reid, who drafted the University of British Columbia Act, establishing the University. 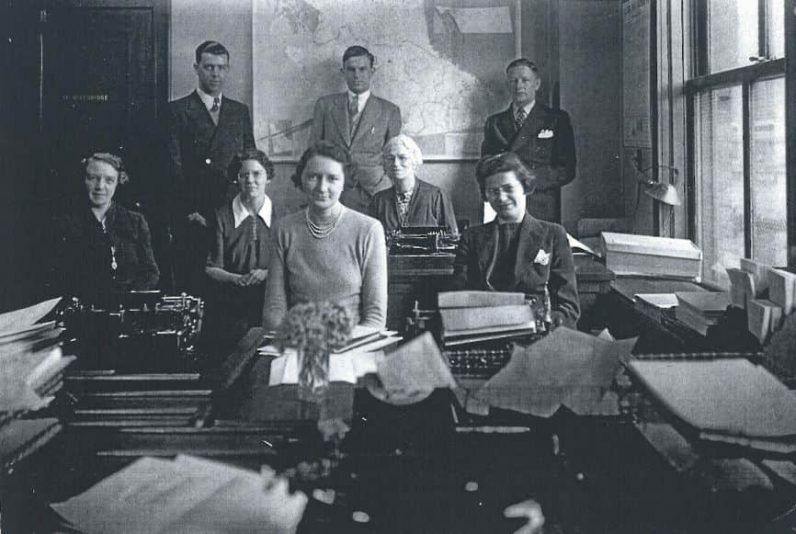 Staff of our predecessor firm, Reid Wallbridge Gibson & Sutton. 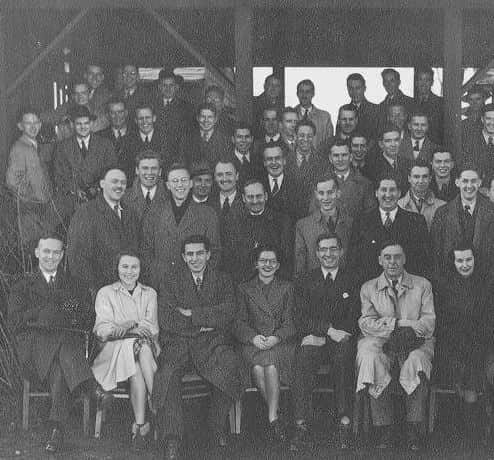 The first UBC Law School graduation class in which lawyers from our firm at the time were both students and professors. Russell J.G. 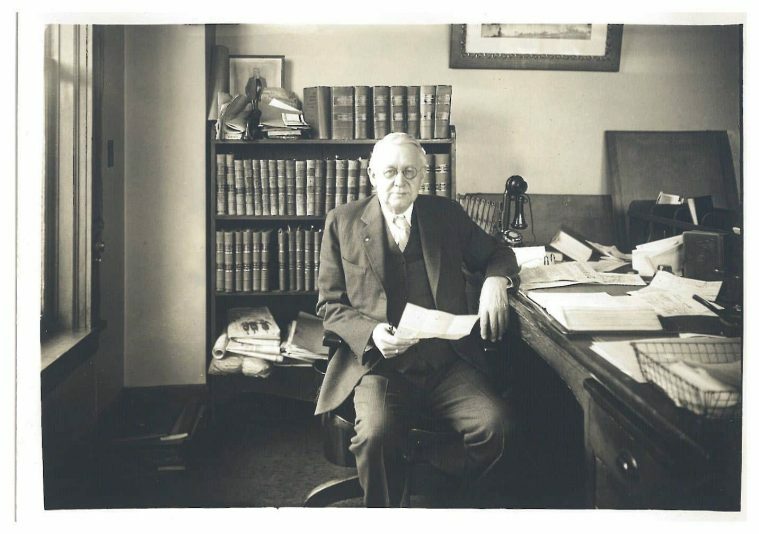 Richards, whose firm established in 1919, is where the Richards in our name originates. 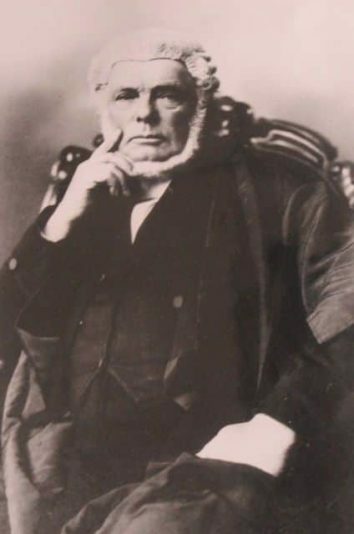 Thomas Grantham Norris. 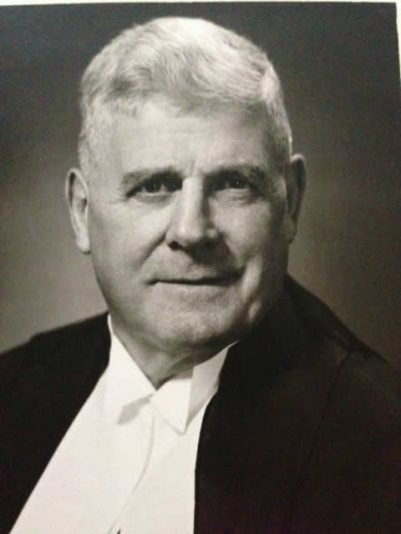 In World War II he was a senior legal officer for the Canadian forces. He had a partnership with Russell J.G. Richards, and later was appointed to the B.C. Supreme Court and B.C. Court of Appeal. 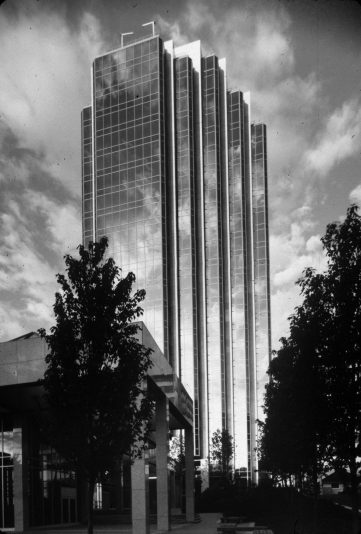 Our current location at 401 West Georgia Street just before our office tower was built. 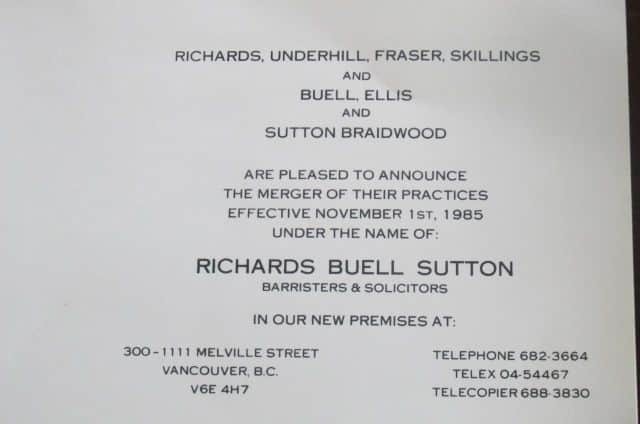 The merger announcement of the three Vancouver law firms which form our current firm, Richards Buell Sutton. And with our history we look to the future.